The majority of respondents in a recent poll said Boris Yeltsin’s epoch brought Russia more bad than good, while the attitude to the figure of the Russian president ranged between ‘bad’ and ‘neutral’. The research, conducted by the independent polling service Levada Center in late January was timed so that the release of the results would coincide with what would have been Yeltsin’s 85th birthday, February 1. According to the poll, 37 percent of Russians have a neutral attitude to the late leader, 36 percent admitted that they held negative feelings and only 14 percent said that their sentiments about Yeltsin were mostly positive. The pollsters added in comments to their release that the number of Yeltsin’s supporters had dropped by two-thirds since 1993, but the number of his critics remained unchanged since this time. When researchers asked Russians what, in their minds, was the real reason behind Yeltsin’s resignation as president on the very last day of 1999, 35 percent said physical sickness, and 19 percent cited growing pressure from the community. Sixteen percent maintain Yeltsin’s rationale was to offer opportunities to a new generation of politicians, while 14 percent think the resignation was orchestrated and timed to give maximum benefit to Yeltsin’s successor, Vladimir Putin. 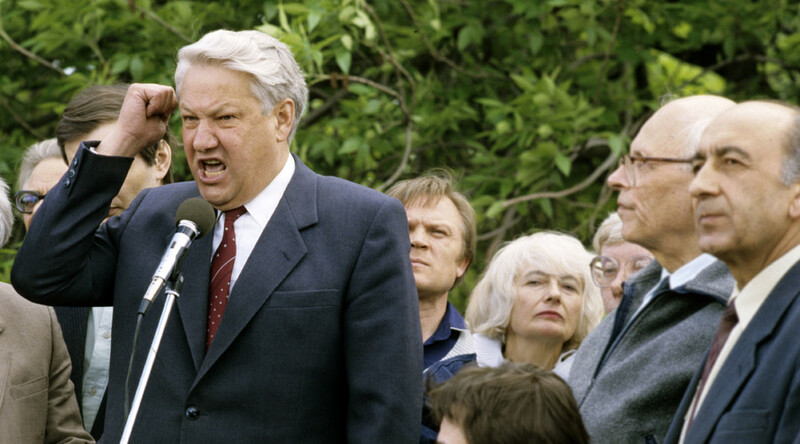 When researchers asked the audience about their general attitude to Yeltsin’s era in Russian history, 56 percent answered that this period brought more bad than good to the country. Only 18 percent said that they considered that the effect of this period was good in general and 26 percent found the question too difficult to answer. Similar research was earlier conducted by the state-owned polling agency VTSIOM. It found that Russians tend to remember the bad things that happened to them and others during Yeltsin’s presidency, especially the war in Chechnya and the financial crisis caused by the government default on short-term bonds in 1998. In November 2015, Russia commemorated Yeltsin by opening a huge memorial center in his native city of Ekaterinburg. The exhibits of the center include the interior of his Moscow apartment (complete with a TV set showing the Tchaikovsky ballet Swan Lake), the ‘Chaika’ limo that he used as a service car and a real trolleybus that Yeltsin once rode to ask questions of ordinary people. Multimedia materials are featured, allowing visitors to record their own video messages expressing attitude to the museum, to Russia’s first president and to 1990s-era Russia in general.